With over 25 years of experience in within the channel industry, Barbara Spicek joined Veritas Technologies in September 2017 as Vice President of Global Channels and Alliances. In this role, Spicek is responsible for Veritas' worldwide ecosystem of channel and alliance partners and is focused on delivering innovative programs that help channel partners differentiate in the market and deliver value to their customers. She is also accountable for ensuring that Veritas optimizes the value of the company's alliance partners, while helping Veritas drive growth across the company's 360 data management portfolio. Spicek joined Veritas from Gigamon where she served as Vice President of Worldwide Channel Sales and was responsible for all channel sales and operations as well as the strategy and marketing plan for Gigamon's global partner program. 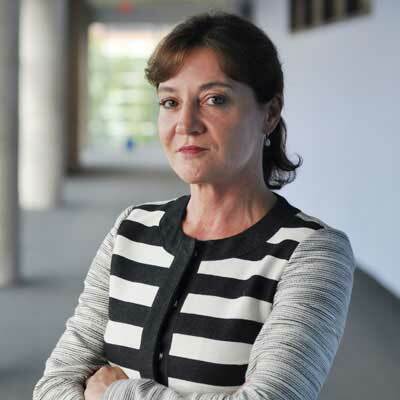 Prior to Gigamon, she was Executive Vice President of global sales at Nexsan Storage Solutions and was responsible for worldwide sales, systems engineering and the operations team, across all storage product lines. Veritas is driving the move from an information management company to leader in multi-cloud, data management. Using the Veritas platform, customers can accelerate their digital transformation and solve pressing IT and business challenges, including multi-cloud data management, data protection, storage optimization, compliance readiness and workload portability - with no cloud vendor lock-in. A core value for Veritas channel partners is enablement. One of our larger Solutions Providers in the U.S. derived 90%+ of their revenue through our broader multi-cloud data management solutions. I worked with this partner's entire organization to drive technical and sales enablement, as well as marketing outreach to establish pipeline for these new technologies. As a result, this Solution Provider now has seen $15M pipeline in new business and close to $50M in closed business. Companies are looking visability, easy data migration and complance, seamless data protection, optimized costs and innovative ways to extract insights from their data. As a result, Veritas has forged partnerships with key cloud service providers, including Google, Amazon, Microsoft, IBM and Nutanix. This has allowed Veritas and our channel partner organization to help our joint customers achieve a comprehensive, policy-driven, technology-agnostic, compliant data management strategy - while helping our joint customers discover the truth in information. Working with our channel partners, Veritas will introduce new solutions into the marketplace to advance this strategy. Georgia O'Keeffe. I not only admire her work as an American artist and for being the "Mother of American Modernism", but I respect her ability to overcome adversity. During her college years, she contracted typhoid fever, had a mother who was bedridden with tuberculosis and suffered due to her family's financial burdens. Regardless of these challenges, she became one of the most successful feminist icons and American artists of her time, a major achievement for a female artist in the male-dominated art world. Never lose your openness and the ability to learn and adapt to change. No matter how mature or accomplished we are as business people, there is always change, new ideas, new dynamics, directions and situations that require an open and flexible mind. Be true to yourself. Over the years I've completed many HR development programs and different personal competency assessments. Some of them had really surprising outcomes which helped make me more self-aware. The reality is that you can be great at some things and weaker in other areas, so be true to yourself, focus and enhance on your strengths. I'd aspire to have even deeper CRM/PRM system skills. As a sales leader, database and tools management is critical to my success and will only grow deeper and move faster with innovation, business intelligence, big data analytics, customer access, management, recruitment and classification. The ability to maximize these tools and capture data in order to effectively report on my business is key. For years I have been a fan and avid reader of business books written on the systems thinking management discipline. As it comes to an effective channel and alliance strategy, one needs to apply systems thinking as a successful strategy putting all the components from marketing programs, product, optimized coverage models, infrastructure, enablement and investment into an effective system.